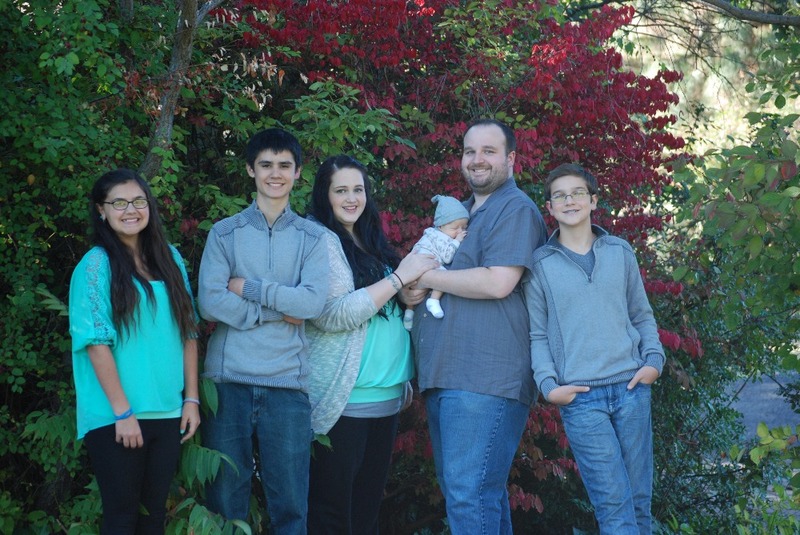 Fundraiser for Jason Bishop by Tawni Bishop : Bishop Family Needs Your Help! Bishop Family Needs Your Help! We truly appreciate you taking the time to look over our GoFundMe page. We are truly blessed to have our amazing son and through all the horror we experienced and all the financial strain we are still here and happy. 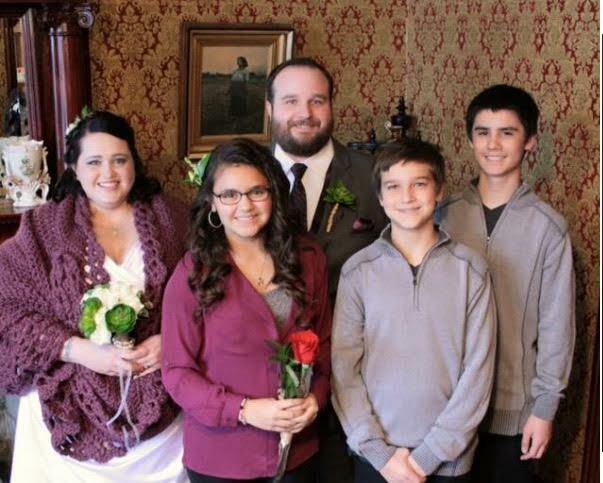 Our story begins on a beautiful mid-winter day in January of 2016, just one week before our wedding day we received amazing news from our doctor, our family of 5 (which includes 3 amazing teenagers) would soon become 6. Things were going very well, my wife and I both had great jobs, we had just married, and just found out about the baby. It is difficult to describe the happiness and joy we felt. It became quickly apparent that this pregnancy was quite different from the last one (13 years earlier...), my wife began exhibiting symptoms that our doctor attributed to very high blood pressure. We began the discussion about Preeclampsia. We didn't quite grasp it at first, we did some research online and asked the doctor a lot of questions but the potential gravity of the situation did not dawn on us until much later. Tawni had fairly severe "morning" sickness, starting in January and lasting the entirety of the pregnancy. It wasn't relegated to the mornings, it was an all day event! Bouts of sickness would often result in capillaries in her face bursting, this combined with fatigue and having difficulty keeping her blood pressure in check caused our doctor to recommend she stop working for the duration of the pregnancy. This was in February. Our due date wasn't until September 7th, with the recommendation from our doctor it was beginning to set in that this would be a very long pregnancy. Our savings goals were far from met by this point, we had enough in our savings to cover us for roughly 3 months. 3 months went by very quickly and in May our savings was officially tapped out. We had cut spending, reduced some of our bills and eliminated some unnecessary ones, but we were still owing more per month than we were bringing in. We were seeing our doctor every other week to start and by week 20 we were on weekly doctors visits. Tawni's blood pressure was a constant worry and the doctor began to recommend we sign up for Life Flight insurance just in case we needed to be airlifted to Spokane to have the baby. The hospital here in Pullman would life flight us up to Spokane for anything earlier than 35 weeks. By week 28 we began doing twice-weekly non stress tests at the hospital in addition to our weekly doctors visits. They were also encouraging us to get Life Flight insurance to help cover the costs, just in case a helicopter trip to Spokane became necessary. This prompted us to ask more questions. Spokane is only a 90 minute drive away, we didn't understand why the helicopter would be necessary at all. A well meaning nurse at Birthplace in the hospital gave us a better explanation of what things would be like if the decision had to be made to have the baby prematurely due to Preeclampsia, we were both in tears. It was difficult to hear and even more difficult day to day with that potential weighing on us. Over the next few weeks we had two separate instances where our doctor had to be brought in and they had to take more serious steps to bring my wife's blood pressure down. Fortunately in both cases, her blood pressure did eventually get brought under control. We had already made the decision with our doctor to have the baby 3 weeks early. We were desperate to make it past 35 weeks so that a trip to Spokane would not be necessary. Every week we thought that could be it, it could be time for the baby to come. Throughout this, bills began to build up, we took out two separate loans to help cover costs. We had to buy some baby stuff, but family and friends helped us out a lot. I tried to keep my wife as insulated from that as I could, but finances became a huge stresser. We passed the 35 week mark, the sigh of relief my wife and I collectively felt was immense. On August 9th, one week before our planned inducement we had one more Preeclampsia scare, this was the closest we had come to the decision to have the baby even earlier than planned. Just like the other two times though, right in the last moment before a decision could be made, the blood pressure dropped. We went home that night and made the decision that I should start my Paternity leave early. Fortunately the last week went by without incident. 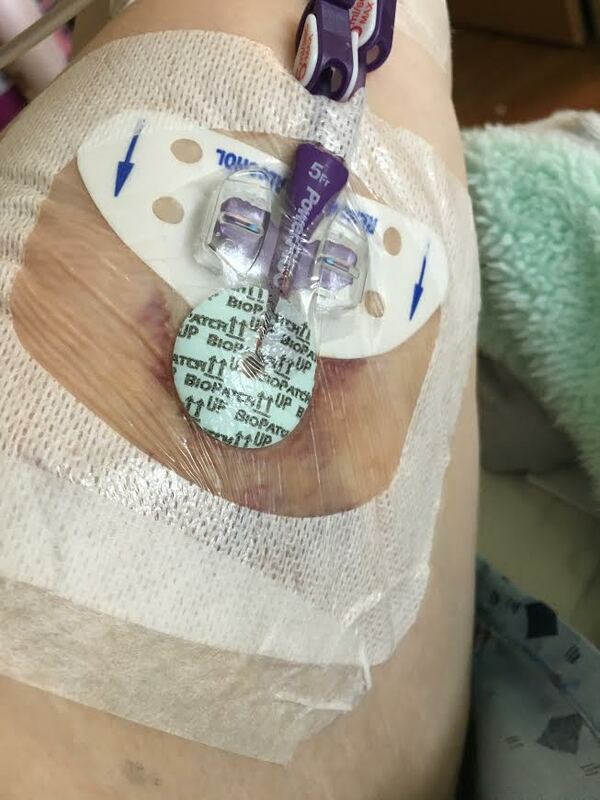 We admitted Tawni into the Hospital on August 16th and began preparations for her inducement the following morning. Her blood pressure remained high but constant. Things were taking a bit longer than we expected, but by noon on the 17th Tawni's water had broken. Despite her water breaking, she was not dilating enough. She never exceeded 4 cm dilated, by 11am (23 hours later) we made the decision with our doctor to have a C-Section and our son Grayson Burke Bishop was born at 12:43pm on August 18th. The C-Section went as well as one could go. Being 3 weeks premature, Grayson had some trouble breathing at first and was placed on a C-Pap machine for several hours. My wife only got to see him as they wheeled him out of the room and then had to wait roughly 4 hours before he could leave the nursery. He was here at last and he was glorious. My wife seemed to be doing well, Grayson was perfect. On August 20th we took him home. While home we discovered someone had hit our car while we were away. The cost to repair the damage would only be $200, but ultimately it was $200 we did not have. To this day the damage is not yet repaired. By this point we were regularly maxing out our overdraft limits, getting help to pay for groceries and making decisions about what bills to not pay. I had taken several weeks of work off so that I could stay home with the baby and my beautiful wife, and help get her set up with as much of a routine as a newborn would allow and then I would go back to work. I had originally intended on taking 3-4 weeks off of work. As it turns out, that wasn't going to be enough time. We felt so much love and relief, the rough pregnancy was finally over and we had this amazing gift at home with us, healthy. 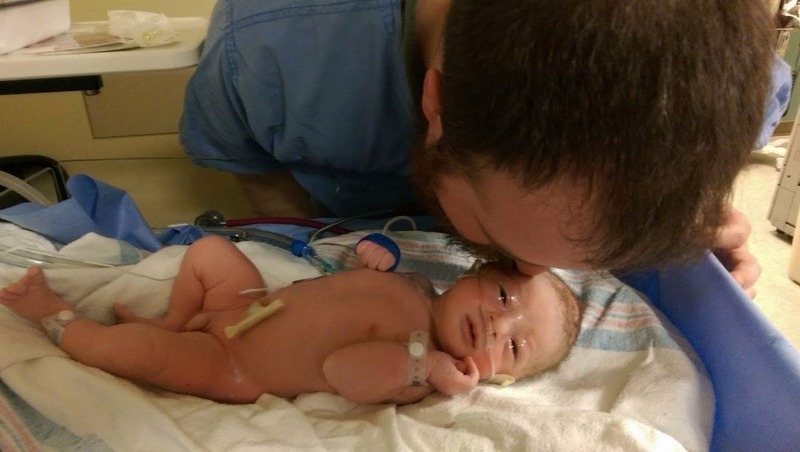 Pain was expected from the C-Section, but the pain began to worsen very quickly. I won't get into the gruesome details, but it became very clear that the wound was not healing correctly and had become very infected, very quickly. The nurses recommended that we come in to the emergency room, when we got there the Doctor and I took a look underneath the bandage and while we tried to give encouraging remarks our faces both displayed unchecked horror at the sight of just how bad the infection looked. On the 25th of August we were admitted into the hospital for the second time. 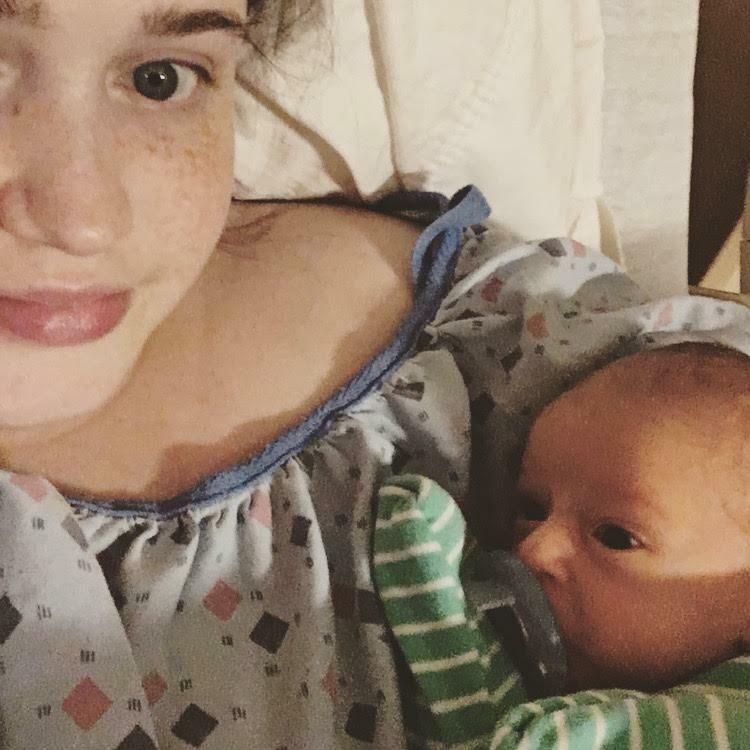 We really wanted Grayson to be breastfed, the doctor warned us that the antibiotics and other medications would very likely hamper our efforts to breastfeed. We worked very closely with the lactation consultants in Birthplace. 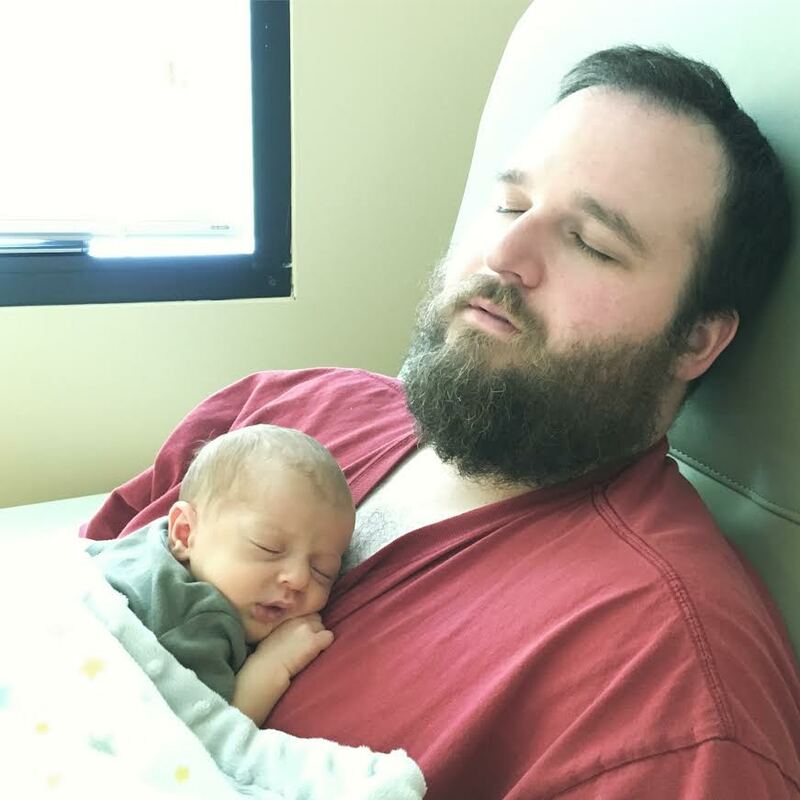 My wife, the baby and I all stayed in the hospital together. In addition to the doctors and nurses working with my wife on the infection, my wife and I had a full time job trying to feed the baby. Every two hours Tawni would feed Grayson off of each breast. Tawni would then use the hospital's breast pump to get out as much milk as possible that was left in her breasts. 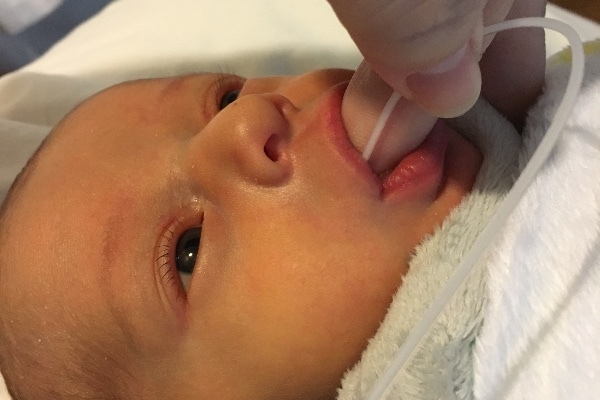 I would proceed to finger feed the remaining breastmilk through a tube into Grayson's mouth, then he would sleep in my wife's arms while I washed and dried the bottles and tubes. By the time they were dry, it was feeding time again and we cycled through this over and over again throughout our time in the hospital. Eventually it was clear that the impact of the medication was causing her supply to be too low, so we started having to supplement using formula. We continued finger feeding him both breastmilk and formula in addition to normal breastfeeding, we didn't want to switch him to a normal bottle to avoid him no longer wanting to latch on to her breast. The infection was bad, we went through lots of different antibiotics. We were admitted into the hospital on three separate occasions, two of them through the emergency room. Often my wife was unable to walk at all due to the pain. Through it all, the three of us stayed together. I would go home to check on the teenagers a little here and there, but every night the three of us stayed together in the hospital. I don't recall the day, but slightly over 5 weeks after Grayson's birth, we finally were home. We had spent about 5 nights at home between hospital visits overall. Over 21 days total in the hospital across all of the visits. I had to take an extra two weeks of work off, one of them unpaid. This only worsened our financial distress. As my wife and I are writing this, it has been quite difficult putting it all into words again, its in the past and we would like to keep it there, but the painful memories linger on. Grayson just recently turned 6 months old, he is very healthy and other then being very colicky for the first few months, he is a very happy baby. As a family, we could not be any happier on a personal level. The teenagers have been a tremendous help and have bonded with Grayson really well. I am happy to say that all of our hard work in the hospital paid off. 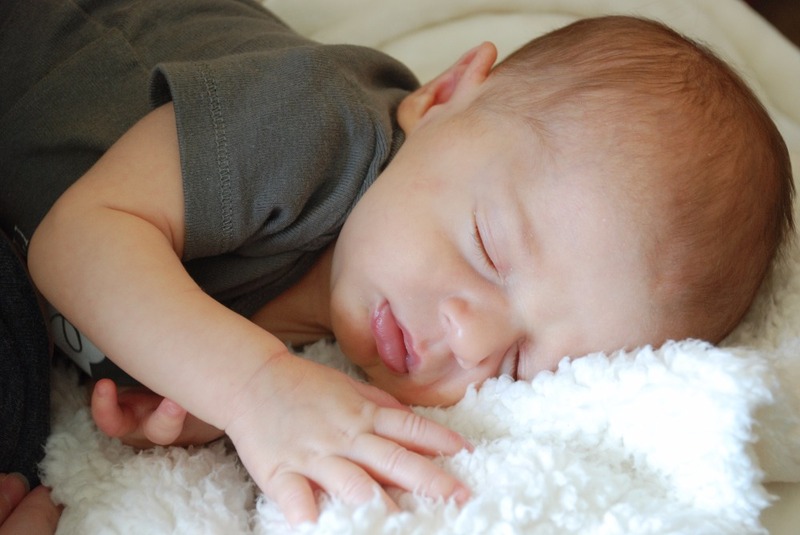 We had to supplement Grayson's diet with formula for quite some time, but for the last two months he has been completely formula free and we even started him on solid foods early based on a suggestion by his doctor. 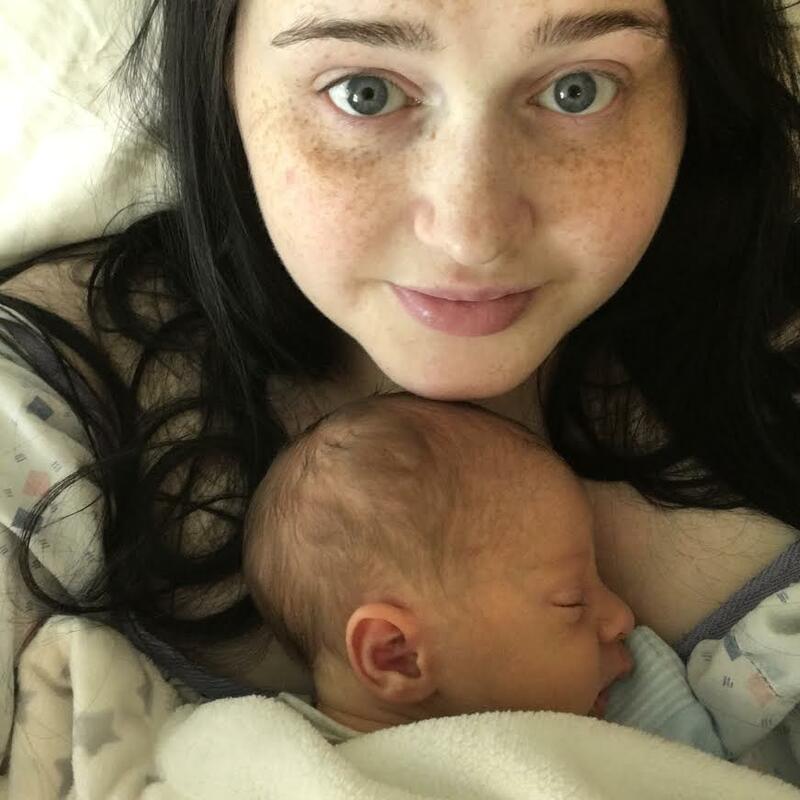 Tawni's infection remained an issue for several more months after our time in the hospital, but she is completely healed and infection free, able to enjoy our wonderful baby boy. We have been slowly working our way to a more financially stable existence, but we dug a very deep hole for ourselves and we have a long journey ahead to dig our way back out of it. We have continued to be very frugal in our spending, but recovery at times seems out of reach. We are looking for ways to supplement our income without sacrificing Tawni's time at home with Grayson. We don't normally ask for help outside of our immediate family, but its time for us to take real steps to heal ourselves financially. We have healed physically and emotionally, its time for us to put this experience behind us fully and move forward with our lives. We have taken out $7,000 in bank loans, we are $1,400 negative across two separate checking accounts and we have countless unpaid bills. We are estimating that about $10,000 would be needed in order to bring us back to a manageable level. A friend at work told me a story about a family in need that created a gofundme page and how much it was able to help them. He suggested it might be a route for us to take. It is hard advice to swallow, but its time for me to set my pride aside and ask for your assistance. As difficult as this story has been to write, actually putting into words that we need your help is the most difficult part. I've written and re-written the end of this many times and it never sounds right to me. We have gotten money from family and friends, meals, toys, clothes, groceries, gas, baby furniture, shoulders to cry on, heart warming support and unfathomable love. We are so very thankful for all of it and it wrecks me to have to ask for more. We appreciate all of the love and support we have received. Our hope is that this gofundme page will help us recover financially, it is a lot of stress and very disruptive. Ultimately though, its just gravy, we have Grayson, we have each other and we have all of you and that is what is most important. Thank you to everyone who has donated and shared! Thanks to you we have reached $500 of our goal!